Developers will be all ears when Esri staff explain what's coming in ArcGIS 10.2. Where can you attend a technical session one hour and play a game of killer dodge ball the next? 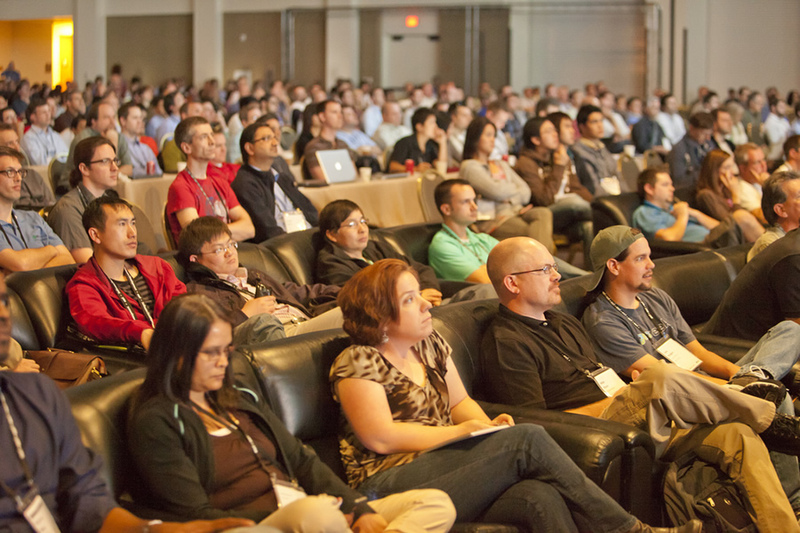 The Esri International Developer Summit (DevSummit) returns to Palm Springs, California March 25-28, mixing learning with fun in a stimulating but relaxed environment. 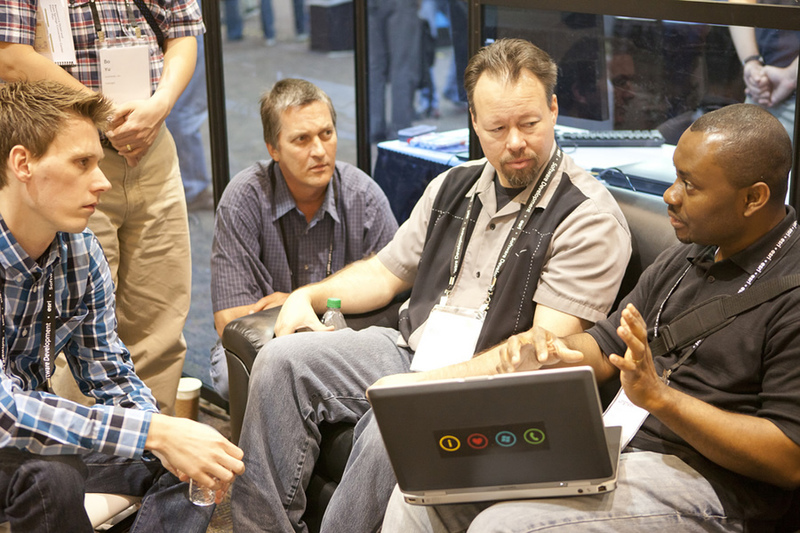 The technical sessions will sharpen your application development skills while the Esri DevSummit Hackathon on March 24-25 will get your competitive juices flowing. If you enter, you will have 24 hours, data from Riverside County, California, and free food to fuel you in the race to build the best application. Win and you will soon be up on stage, presenting your application to the DevSummit audience. Many technical sessions will zero in on application development. Esri welcomes developers from all disciplines whose fluency in programming languages has the potential to accomplish extraordinary things. No matter your level of expertise, you will soon learn how far even a limited knowledge of coding can take you these days. Up to 20 of the most popular sessions will be repeated on March 28 after the Closing Session. The Plenary Session on March 26 will include demonstrations of what's new in this month's ArcGIS releases as well as what's coming in ArcGIS 10.2. Esri software architects and thought leaders will preview new enhancements that support private clouds, 2D and 3D dynamic image processing, and real-time streaming of data. 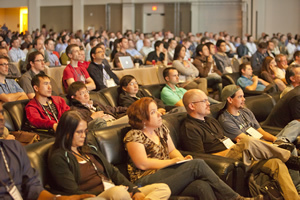 Esri technologist Rex Hansen discusses how to develop a game plan with DevSummit attendees. Don't miss the keynote by usability guru Jared M. Spool, founder of the consulting and research company User Interface Engineering. In his talk Anatomy of Design Decisions, he will describe five different decision styles and how each will affect your designs. Spool will speak at 8:30 a.m. March 27. Get ready, get set, and go to Speed Geeking from 3:30 p.m. to 4:30 p.m. March 25. In less than one hour, 26 Esri staffers will demonstrate the latest ArcGIS tools. There will be no time for a break! Sometimes, all it takes to transcend an obstacle is to borrow ideas from your peers. The user presentations from 1:00 p.m. to 5:00 p.m. on March 27 will teach you how developers have tackled challenges large and small using ArcGIS and Esri resources. Your supervisor will want to know what you will have learned when you get back from the summit. Please ask Esri staff to draft a road map for your next project, including sketching out a workflow and jotting down some of the resources you will need. The staff will be expecting you to ask! Also, the Demo Theater presentations and Meet the Teams gathering will give everyone the opportunity to get together. 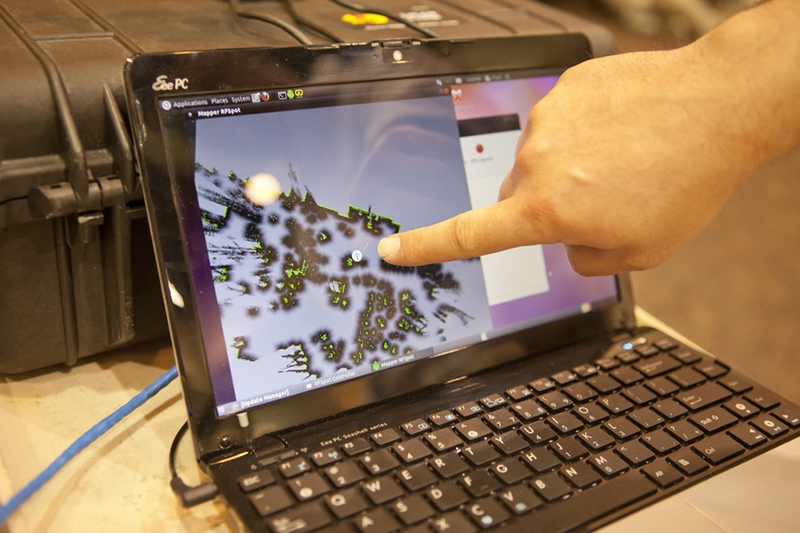 Esri technologists will help you formulate a sensible plan to execute your development ideas. You will learn everything from how long your projects will take to what software and hardware you will need. 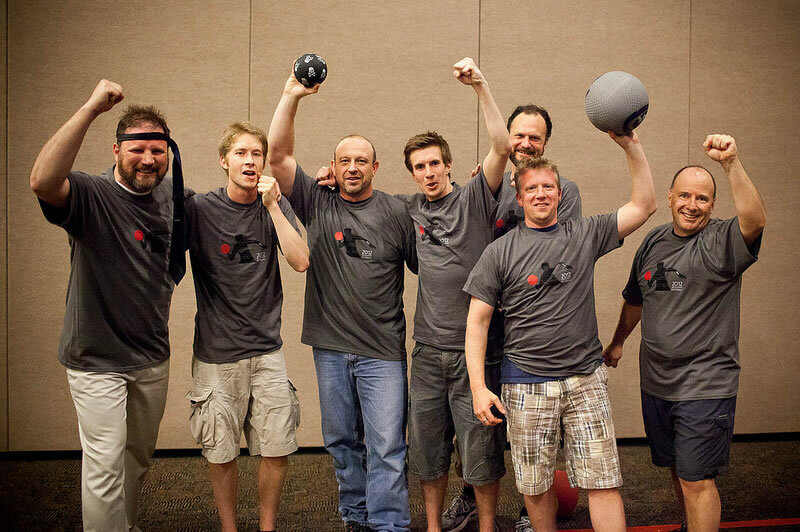 The Balls, last year's dodge ball tournament winners, gloat about their triumph. Yes, that's a necktie headband. It's not all work and no play for creative developers. There will be a social at the GIS Solutions EXPO from 4:30 p.m. to 7:30 p.m. March 25. And be sure to stop by and Meet the Teams from 6:30 p.m. to 8 p.m. March 26 at the Renaissance Hotel Pool and attend the DevSummit party from 5:30 p.m. to 9 p.m. March 27. 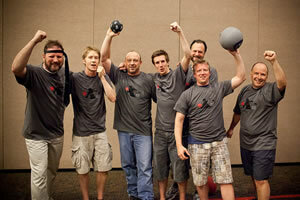 You can wear off some of those calories at the Dev Eat Dev Dodge Ball Tournament during the DevSummit party. The top prize this year for the winning team members will be a free ticket to the 2014 DevSummit. Plan your team name and costumes in advance. This event is your opportunity to see what's on the horizon, discover powerful tools and resources, and meet people who've accomplished spectacular feats with surprising ease. Join us to stimulate your mind and replenish your innovative spirit. Keep up with what's happening before and during DevSummit via Facebook or follow #devsummit on Twitter.